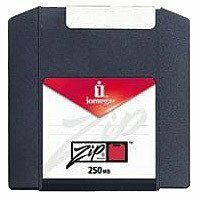 Iomega Zip disks present a fast and economical way to handle the data requirements of today's ever expanding computer applications. This media offers high capacity and high data transfer rate. Zip disks are the easiest way to perform hard disk backup.